All student clubs are invited each year to participate in the Diversity Organization Council (DOC), a coalition that meets once a month to share information and collaborate with the IC and each other. The IC supports DOC through advocacy, publicity, space, and other resources. Signature collaborations include the fall Diversity Dance and Diversity Retreat. Click here to view a calender of diversity club meetings. Check back often or contact the clubs directly as meeting times and locations are subject to change. 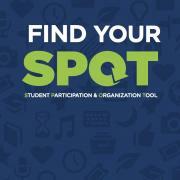 Learn more about each diversity club through SPOT, which SMC students can access via my.stmarys-ca.edu. Please contact the IC at (925) 631-8545 or delphineic@stmarys-ca.edu if you would like to get in contact with any of these clubs. The​ ​African​ ​Student​ ​Association​ ​of​ ​Saint​ ​Mary’s​ ​College​ ​of​ ​California​ ​aims​ ​to​ ​create​ ​a​ ​space​ ​on campus​ ​to​ ​foster​ ​and​ ​encourage​ ​the​ ​voices​ ​and​ ​experiences​ ​of​ ​African​ ​students.​ ​Also,​ ​we​ ​want to​ ​educate​ ​the​ ​community​ ​about​ ​the​ ​issues​ ​surrounding​ ​Africans​ ​in​ ​the​ ​diaspora​ ​and​ ​Africans​ ​in Africa,​ ​as​ ​well​ ​as​ ​give​ ​Africans​ ​a​ ​chance​ ​to​ ​embrace​ ​their​ ​culture. APASA fosters a strong sense of community among Asian Pacific American students and their allies, and provides an opportunity to learn about various Asian cultures through weekly meeting, community service opportunities, and other special events. BFG's mission is to preserve and showcase the splendor of Mexico's traditional dance, music, dress, and history, and to encourage cultural exchanges between our community and the people of the various cultures represented at Saint Mary's College of California. BSU enhances the experience of black students by holding frequent meetings, sponsoring social events, and hosting guest speakers to explore issues in education, politics, history, economics, and culture affecting the African American community. The DiverseAbilities club fosters a safe space for students both with and without disabilities to meet, connect, and share experiences. We are dedicated to increasing awareness in the SMC community about the diverse strengths and needs among its student. We want to help and support people in an educational, engaging, fun way. HaU combines academics, community service, and social activities to unite and support Chicanas/Latinas in their quest for higher education, while emphasizing Hermandad. IVCF is an interdenominational group dedicated to helping members grow in their relationship with God. InterVarsity provides weekly small group Bible studies, community meetings, retreats, and fun events to help meet students' spiritual needs. The International Club is striving to bring global awareness and celebrate cultural diversity on campus. La Hermandad's main endeavor lies in creating a familia focused on Chicano and Latino cultures. La Hermandad's mission is to create a powerful and sensitive hermandad oriented around preserving, understanding, and adding to Chicano and Latino history and culture. Born from the silence of unvoiced tension, student organizers took a stand to create a platform for themselves by themselves - this is their legacy. The Lounge is Saint Mary's monthly open mic that creates a sharing space for anyone who wants to be vulnerable with their community. We aim to cultivate a supportive and interactive audience-performer network open to any and all forms of personal expression. We hope to see you there! PRIDE is dedicated to creating a safe space and environment for all LGBTQQIAA students, staff, faculty, administrative officials, and guests. This is achieved through providing educational programming and community-building activites. PRIDE seeks to end discrimination, harassment, prejudice, and violence against the queer and trans* community. PRIDE challenges heterosexism and the gender binary system. PRIDE works to promote diversity and inclusivity on campus, as well as promote diversity within the inclusive LGBTQQIAA community.